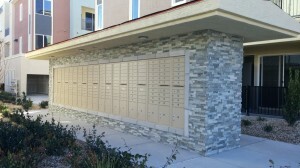 Family owned and operated, we have been providing the Las Vegas community with professional mailbox installation and repairs since 1995. We are centrally located in the valley and can go wherever your project takes us. With over ten years of experience we offer high quality customization work for your project needs. Our professional relationship with the United States Post Office (USPS) enables us to deal directly with the USPS to ensure your project meets all the state, national, and federal requirements.